Now let us enter the depot gates (with a kind permission of the administration). Saturday, May 25, 2002. 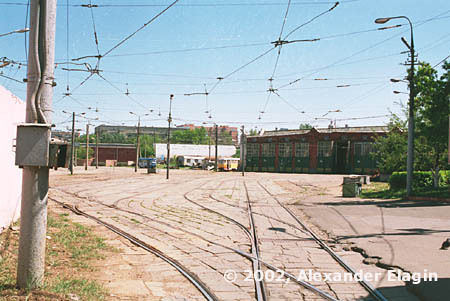 Almost all trams have left the depot in the morning to start their regular service or to take their places in the new depot in Strogino, and the depot looks unusually empty. A view from the main depot gates. 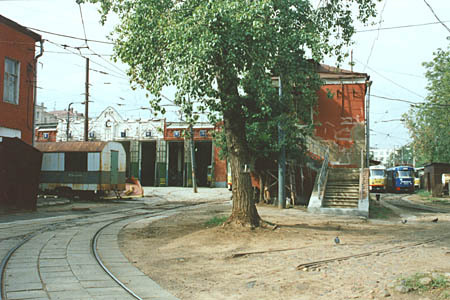 The blue tramcar hardly seen in the distance became the last tram to leave the depot in the evening of May 25, and another white-and-yellow tram beside the depot building would not leave it because it had been severely damaged in an accident. 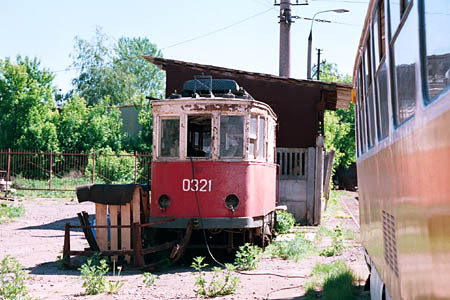 Another car left in the depot until the end of its days. It must have seen much during its life. 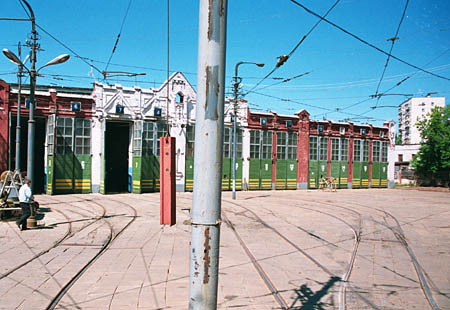 For many decades trams used to leave these gates early in the morning. 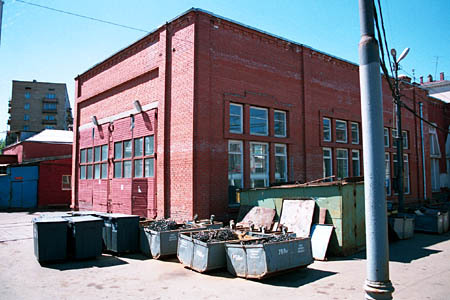 This is the main façade of the depot building as originally constructed in 1914, but due to track reconfiguration caused by relocation of tramline from 1905 Goda Street to Sergeya Makeyeva Street this once main entrance became a backyard. An archaic but pretty effective fire alarm consists of a piece of rail hanged on a rope. 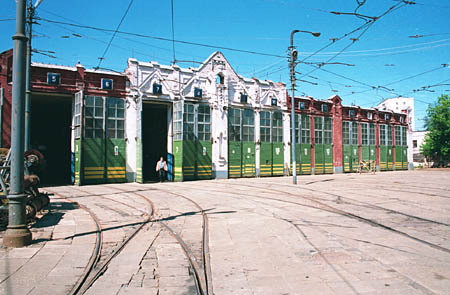 The main building of the depot, viewed through the gates in 1st Zemelniy Pereulok.